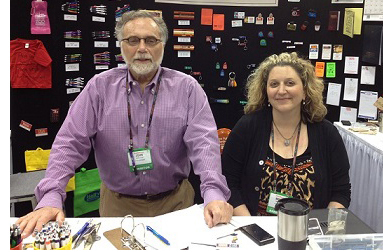 Father-Daughter team John Stein and Wendy Stein have more than 70 years’ combined experience working in the promotional product industry. A lot has changed since our grandfather/great-grandfather Julius began selling pens and pencils door to door with a kit under his arm: more products, unbelievably cool imprinting techniques, overnight delivery, faxes, computers, websites - the list is endless! However, we like to think in some ways, things aren't that different after all. We still offer creative solutions and top-notch service to our clients. Feel free to look around on your own — but if you prefer to let us do the work, that’s why we’re here. Just let us know how we can serve you.